What will a world population of 7 billion do to our quality of life? Photo by the World Resources Institute. United Nations demographers mark today as the symbolic date for when the world population reached 7 billion people. The weight of this new scale of population on the world’s resources is a topic we cover on this blog every day. From sustainable transportation and climate change to urbanization and road safety, we are curious and excited to communicate and help solve the challenges that a growing population may bring. To commemorate this day we bring you seven posts we’ve written on the relationship between a growing population, changing demographics and sustainable transportation. Enjoy! The demographics of a city are the ultimate determinant in the kinds of services it provides. Services like transportation and affordable housing take shape based on the individuals and families that receive them. As we’ve written about before, a city with a growing population must therefore offer the kinds of services that will sustain a healthy economy and a functioning society based on its own demographics. Leaders from the world’s biggest cities convened in Sao Paulo earlier this month to find solutions to climate change during the fourth C40 São Paulo Summit. 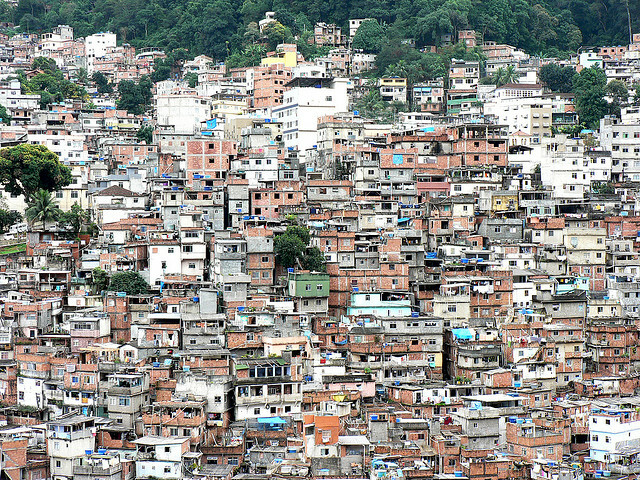 This is a critical time for mega-cities all over the world, not just for those in Brazil. All cities face the same burden of rapid motorization and population growth, which leads to many other problems, such as global warming, air pollution, congestion, and inaccessibility to jobs. For the first time in history, cities are home to more than half of the world’s population, and account for more than 70 percent of the world’s greenhouse gas emissions. These two trends create an unprecedented opportunity for policies that favor sustainable transport and urban development. The Carnegie Endowment for International Peace released a new report last week as part of itsEnergy and Climate Program on China’s fast-paced motorization and possible strategies to reduce greenhouse gas emissions due to the increase in vehicles. In a TED talk this month, physicist Geoffrey West explained his application of universal mathematical laws that define the growth of organisms—from multi-cellular ones to the ecosystem—to the growth of cities. “Cities are the crucible of civilization,” he said to introduce his talk. I thought an essay by Parag Khanna on the rise and paradigm-shifting nature of the world’s biggest cities, would be relevant for the blog’s discussion on urban mobility. Khanna is Director of the Global Governance Initiative. He also hosted an MTV show InnerView at one point. The essay covers some topics and ideas useful for framing the debate on transportation policy, land use and urban planning. If you believe the doomsday merchants, the scariest thing about this Halloween is the fact that the world’s population will pass seven billion on or near October 31. Population growth, however, is not the biggest skeleton in the closet when it comes to our planet’s ability to absorb human impact. Far more damaging than the booming birth rate in low income countries are the resource-intensive lifestyles of the global rich and middle class.